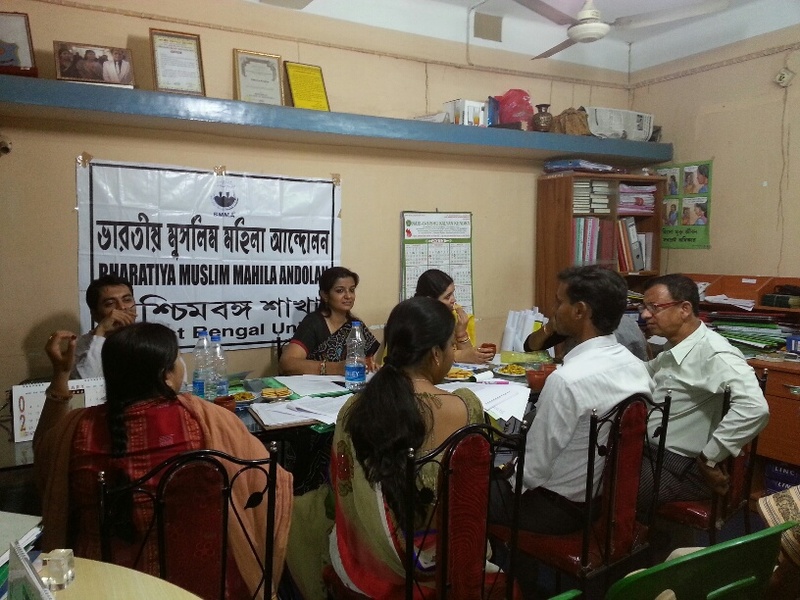 Bharatiya Muslim Mahila Andolan had a very fruitful consultation with lawyers in Kolkata on 7th March 2013. The consultation was organised with the help of Nari-o-Shishu Kalyan Kendra which is also the collaborating NGO of BMMA in West Bengal. The lawyers gave important suggestions on the draft which were incorporated in it. Some important points on the draft were ratified by the group. They agreed that the age of marriage of a Muslim boy should be 21 and girl should be 18. They also suggested that polygamy should be made strictly made conditional so that a Muslim man will think twice before second marriage. The husband must maintain his wife during the subsistence of the marriage and also provide for her after divorce. oral unilateral divorce must be made completely illegal and talaak-e-ahsan form of divorce should be made the legal method of divorce for men and women.